This book outlines the current understanding of how obesity affects female reproductive function across the lifespan. Topics include physiology of the menstrual cycle and early pregnancy, best practices in the delivery of contraceptive and prenatal care and healthcare policy that weighs the evidence in appropriate balance with principles that respect women’s rights. Special attention is devoted to the idea that obesity’s adverse effects are likely trans-generational; that is, children born to obese mothers are at increased risk for obesity, diabetes and cardiovascular disease later in life. Patients and their physicians need to be aware of the additional risks obesity confers in pregnancy and outline a plan of care that includes counseling preconceptionally, antepartum, intrapartum and postpartum in order to decrease morbidity. 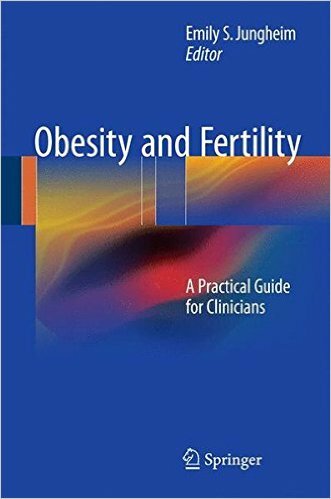 Obesity and Fertility provides advice for reproductive medicine physicians and gynecologists to help guide obese patients toward improved reproductive health and outcomes.